Grab your trusty jetpack and take to the skies in Piranha Bytes' new post-apocalyptic journey. Science-Fantasy in a post-apocalyptic world – a mix of genres, a curse or a blessing? 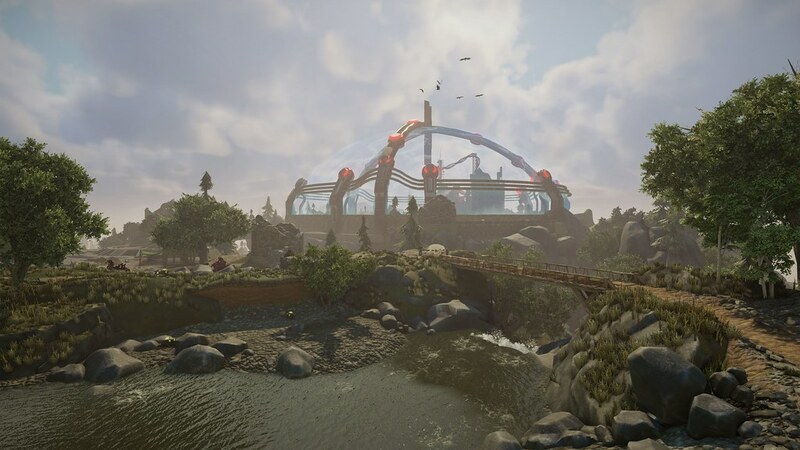 In celebration of tomorrow’s PS4 release of Elex – and since the final days of a project always make us a little emotional – we thought we’d look back at the early days of the project and give you a little insight into the thoughts and ideas that went into the design of Piranha Bytes’ biggest project to date. When we started the project, before we even thought about story, characters or game mechanics, we asked ourselves two questions: What are the expectations for a new Piranha Bytes game of fans of our previous game trilogies – Gothic and Risen – and what are our own expectations? What do we want to work on, and how can we surprise ourselves and the gaming world? We quickly came to the conclusion that we have to go back to our roots and make a huge, seamless game world that invites players to explore for dozens, or even hundreds, of hours. But what setting should we pick? We’ve been making fantasy role-playing games for what feels like an eternity (close to 20 years), so we needed something fresh, something new. And we wanted something bold. Something with science-fiction. Maybe something post-apocalyptic. But we also didn’t want to alienate our fantasy fanbase. So we came up with this new setting: a science-fantasy world in a post-apocalyptic setting. Elex was born. On paper this sounded great, bold and fresh. What we didn’t expect was how hard it would be to bring all these pieces together to make a believable world. Here are two examples of the challenges we’ve faced. One of the most basic questions we had to answer was how the player would move through the world. Simply on foot like in our previous titles, or maybe in a vehicle or something that can fly? Answering this question was very important, since it has so many implications on the design of the game world. Vehicles and aircrafts have the problem that you travel very fast, and you always end up with interesting hot spots in the world and lots of space in between. But we wanted to make one big continent, where every spot would offer something interesting. So we had the idea for the jet pack. It gave us the ability to make the game world believable with high mountains, deep valleys and a lot of hidden spots that make you want to explore every inch of the world. The jet pack immediately felt right – and was also a good fit for our setting. But of course, having a jet pack also created a lot of challenges, especially for combat situations. Players could just use it in whenever they’re attacked and avoid enemies on the ground. Therefore, we had to limit the time the hero can be up in the air, and enemies also needed some countermeasures. We also needed fresh ideas for the world design, because walls were no longer an obstacle for our hero. There’s a reason why we have a ‘Domed City’ in the game, that has a force field above city grounds to prevent people from avoiding the town guards by just flying in. A very important part of our games are the characters. We want people to either love them or hate them – either you want to hug them or smack them in the face. Plus, our setting should have Fantasy characters in it, who use bows and swords, but also tech freaks, who use plasma weapons and robots. And both groups should live in a believable game world! How can these groups compete with each other? With magic! 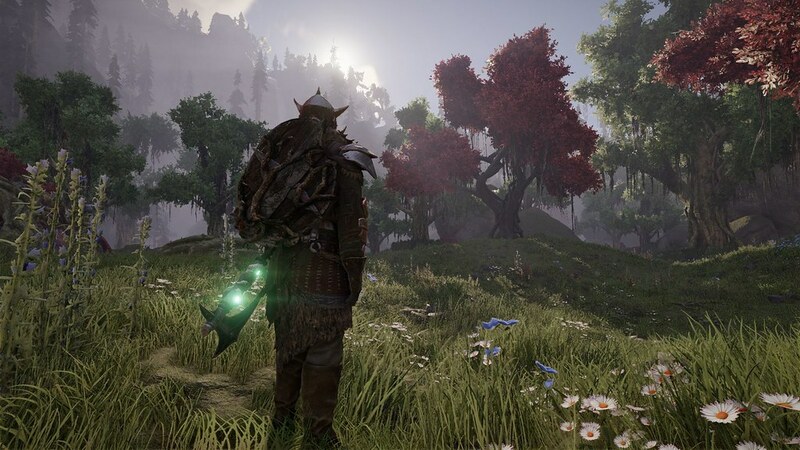 With Elex, the central substance in the game. An enchanted bow, soaked in Mana, can fry any robot’s circuits! And that gave us a way to balance the science-fiction and the fantasy part. Having such vastly different factions in the game also gave us the opportunity to differentiate the characters through use of language. If a character is surrounded by high-end technology all day she or he will use different words than a character who lives in a wooden hut and practices magic. 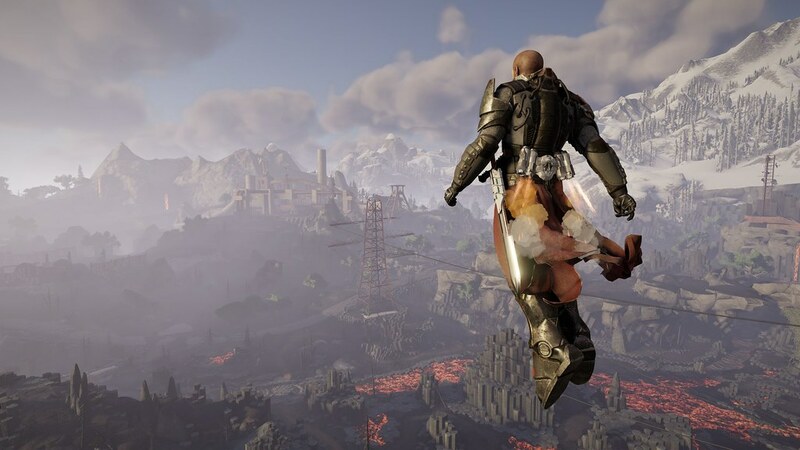 This makes the world of Elex so interesting and diverse, and never lets things get boring, but was also a huge challenge for our writers. As a side note – in the end we had so many dialogs, that the recordings took twice as long as planned. We had to book over 40 actors for three months to bring this new world to life. The development of Elex has been a great ride with many challenges and obstacles, but also with many great moments and breakthroughs. Looking at the final game, we’re proud that we’ve managed to create something fresh and new that still stays true to the Piranha Bytes tradition of role-playing games. I have a feeling I’m going to love this game, just not for a bit, too much to play as it is right now. As someone who played and adored the previous trilogies (especially Gothic 2), I’m counting the hours to finally be able to play this game! I just hope the PS4 can handle this game or else I’ll have to switch to PC for this one. I’m waiting for reviews, but definitely keeping my eye on this one. Looks like it could be my next favorite RPG! “We want people to either love them or hate them – either you want to hug them or smack them in the face.” – if every character falls into one of those two categories… doesn’t that mean you have no well-rounded, ordinary people? and… I dunno if ‘sci fi, post apocalyptic’ is a ‘bold’ environment these days… they’re pretty common. That all being said, it looks like an interesting game. I’ll certainly give it a look, when time permits. I waited for the reviews since i never heard much about this and it seems there are a ton of bugs and glitches :( If they patch it I am very interested in it!!! Anybody who bought it still looking here that can verify this or refute it? THANX! Might pick this up this weekend! !